In the end it was only a blue ripple, and that should prompt soul-searching among Democrats — particularly as everyone looks ahead to 2020. Don't listen to Democrats who portray these midterms as an important triumph. In 2016 and again this year, liberals were unrealistic in their expectations and listened too much to one another and not enough to the country as a whole; if that happens again in the run-up to 2020, heaven help us all. It's great that for the first time, more than 100 women are expected to serve in the House. 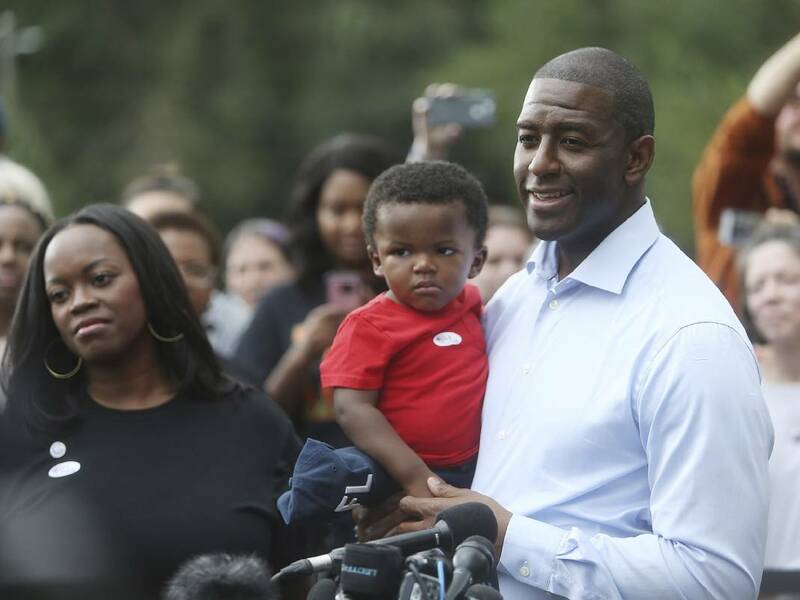 But of the three highest-profile Democratic candidates who were repositories of the party's hopes — Beto O'Rourke, Stacey Abrams and Andrew Gillum — not a single one won. Yes, the margins were narrow. But while it's fine to make excuses, it's better to win elections. It's too easy for Democrats to boast about winning the popular vote in House races overall or winning a few governorships. To actually govern, and to get their way with judicial appointments, Democrats must also win the Senate. That is possible but will require more than bravado. So what lessons can be learned? As Jonathan Martin and Alexander Burns noted in The New York Times, "The candidates who delivered the House majority largely hailed from the political center, running on clean-government themes and promises of incremental improvement to the health care system rather than transformational social change." Both sides overreached. Every time Trump belittled women, he lost votes. And every time Democrats mentioned the word "impeachment" or talked about abolishing ICE, Republicans benefited. The Democrats' mishandling of Brett Kavanaugh was a gift to Republican candidates, for Sens. Joe Donnelly, Claire McCaskill, and Heidi Heitkamp all lost re-election bids after opposing Kavanaugh. Meanwhile, Sen. Joe Manchin was re-elected in the Trumpiest state of all, West Virginia, after voting for Kavanaugh. A risk going forward: Democrats jockeying for the presidential nomination in 2020 will veer left — tugging the party toward impeachment talk or a blizzard of subpoenas — in ways that may help Trump. One lesson from the midterms is that a nominee like Sen. Elizabeth Warren might increase the odds of Trump's re-election. A nominee from beyond the Beltway with experience running things, like Mitch Landrieu, the former New Orleans mayor, or the outgoing Gov. John Hickenlooper of Colorado, might be a better bet. And if, as expected, Democrats in the House pick Nancy Pelosi to be speaker, that will be a postelection gift to the Republican Party. That's unfair but true; she should clear the way for a successor. Democrats should look at referendum results as a glimpse of a road map forward. Three conservative states — Utah, Nebraska and Idaho — appear to have voted to expand Medicaid. Voters in two conservative states, Arkansas and Missouri, raised the minimum wage. And Florida voted overwhelmingly to restore voting rights to most people who have completed sentences after felony convictions. One problem: Many Democrats live in an urban blue bubble, without a single Trump-supporting friend. Ever since the 2016 election, a progressive wing has tarred all Trump voters as racists, idiots and bigots. Not surprisingly, it's difficult to win votes from people you're calling bigots. So a plea: It's gratifying to give heroic speeches thundering against fascism, but remember that what makes a difference in people's lives is winning elections, passing laws and approving judges. To do that, Democrats must engage in less fist-waving and far more listening.